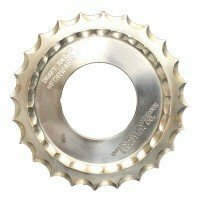 Couplings have been the same for decades - Cast ductile iron with a hole pattern to fit your transmission. 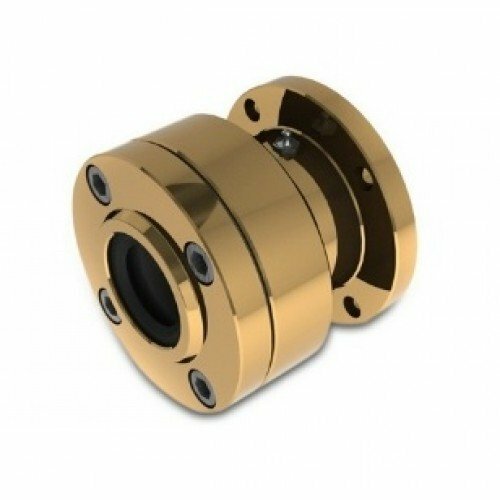 Rigid fitment and corrosion in the damp and salty environment have been normal challenges, and alignment is never quite perfect, causing wear on associated hardware like pillow bearings and cutless bearings. 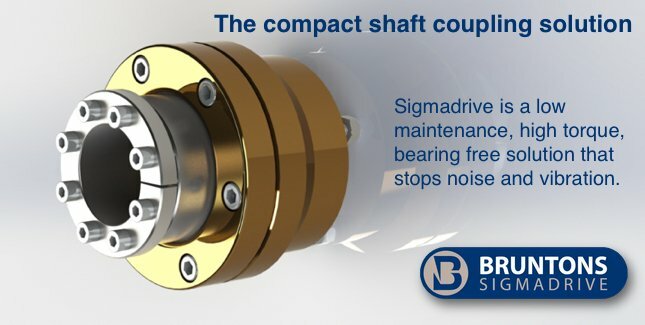 Bruntons addresses these issues with the SigmaDrive. 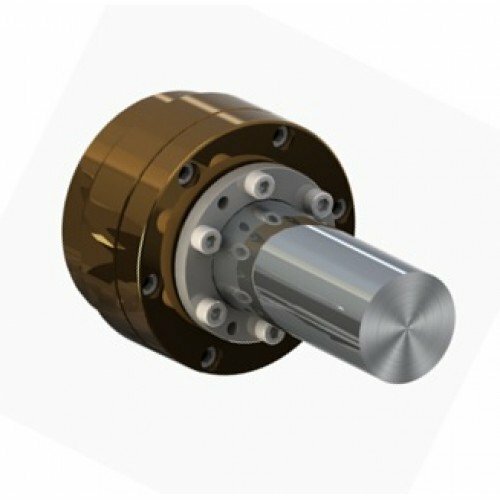 A compact coupling designed to extend the life of your shaft and cutless bearings while acting as a thrust bearing that can pivot up to 6 degrees total (3 degrees in any direction), this constant velocity coupling is the greatest development in shaft coupling to date. 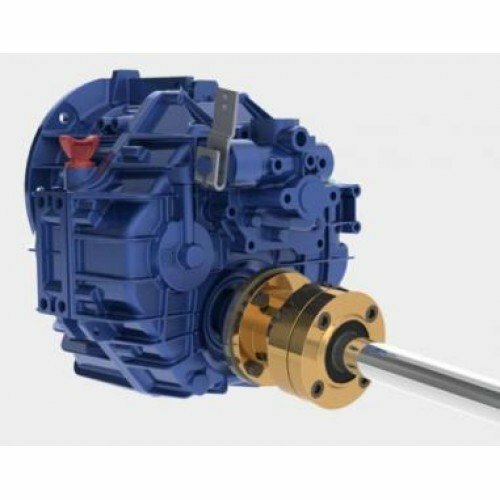 The SigmaDrive takes the place of your current coupling. 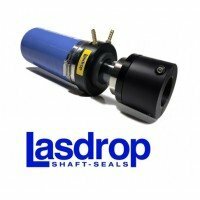 The ease of installation normally doesn't require shaft modifications, or even hauling the boat! 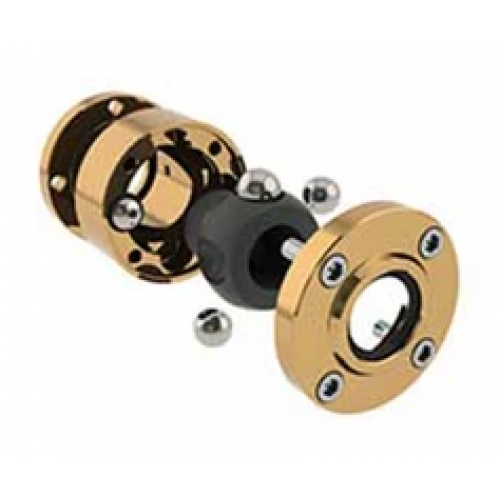 With no bearings or rubber seals to break down, the rugged NiBral alloy provides a maintenance-free pre-greased coupling that will stay perfectly aligned, extending the life of all associated hardware as well. Hung Shen SSBP Propeller 13" Dia. 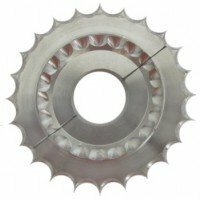 13" Bronze 2 Blade Hung Shen Skewed Sail Boat Propeller.SSBP is suitable for Yachts which have wider..
Hung Shen SSBP Propeller 11" Dia. 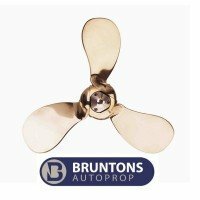 10" Bronze 2 Blade Hung Shen Skewed Sail Boat Propeller.The Hung Shen SSBP Series Propellers are des..
Hung Shen SSBP Propeller 12" Dia. 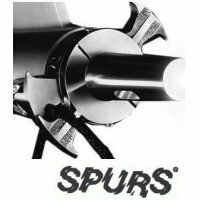 12" Bronze 2 Blade Hung Shen Skewed Sail Boat Propeller.SSBP is suitable for Yachts which have wider..
Spurs Line Cutter Model B Fits 1" Thru 1 1/2" Shafts.The principle that enables the shaft mounted "S..
Spurs Line Cutter Model D Fits 1 1/2" Thru 2 1/2" Shafts.The principle that enables the shaft mounte..
Spurs Line Cutter Model E fits 2" Thru 3" Shafts.The principle that enables the shaft mounted "SPURS..
Spurs Line Cutter Model A Fits 3/4 Thru 1 1/4" Shafts.The principle that enables the shaft mounted "..
Shaft Shark 300 split unit fits shaft diameters 3/4" thru 1 1/4" and 25-30mm.Cutter Outside Diameter..
Shaft Shark 400 split unit fits shaft diameters 1 1/4" thru 1 3/4" and 30-40mm.Cutter Outside Diamet..
Shaft Shark 500 split unit fits shaft diameters 1 1/4" thru 2 1/2" and 40-50mm.Cutter Outside Diamet..
Lasdrop GEN II Shaft Seal 1.125"
Lasdrop GEN II Shaft Seal Fits Shaft Diameter 1 1/8"Lasdrop has been rated “Best” by PowerBoat Repor..
Lasdrop GEN II Shaft Seal 1.250"
Lasdrop GEN II Shaft Seal Fits Shaft Diameter 1 1/4"Lasdrop has been rated “Best” by PowerBoat Repo..
Norscot Dripless Shaft Seal 1.000"
Norscot Dripless Propeller Shaft Seal 1.000"Propeller Shaft Diameter 1" Log Size(Hose I.D.) 1 1/2" T..
Norscot Dripless Shaft Seal 1.125"
Norscot Dripless Propeller Shaft Seal 1.125"Propeller Shaft Diameter 1 1/8" Log Size (Hose I.D.) 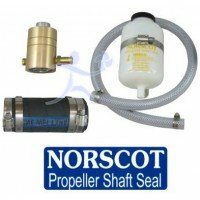 1 3..
Norscot Dripless Shaft Seal 0.750"
Norscot Dripless Propeller Shaft Seal 0.750"Propeller Shaft Dia-3/4" Log Size(Hose I.D. 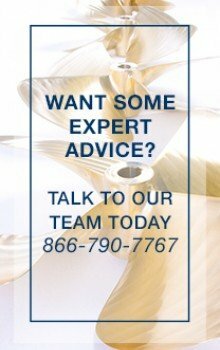 )1 1/2" Thru ..
Norscot Dripless Shaft Seal 0.875"
Norscot Dripless Propeller Shaft Seal 0.875"Propeller Shaft Dia-7/8" Log Size(Hose I.D. 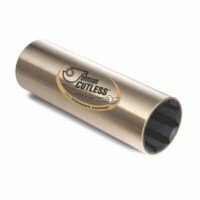 )-1 1/2" Thru..
Duramax Bronze Sleeve Cutless Bearing 0.750" x 1.250" ABLEExternal brass shells are machined and pol..
Duramax Bronze Sleeve Cutless Bearing 0.875" x 1.250" ACIDExternal brass shells are machined and pol..
Duramax Bronze Sleeve Cutless Bearing 0.875" x 1.375" APEXExternal brass shells are machined and pol..
Duramax Bronze Sleeve Cutless Bearing 0.875" x 1.500" ATOMExternal brass shells are machined and pol.. Braided Flax Packing 1/8" X 24"
Braided Flax Packing 1/8" Square / 24" Length Marine grade square plait braided Belgian flax packing.. Braided Flax Packing 1/4" X 24"
Braided Flax Packing 1/4" Square / 24" Length Marine grade square plait braided Belgian flax packing.. 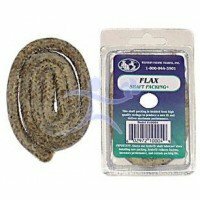 Braided Flax Packing 1/2" X 24"
Braided Flax Packing 1/2" Square x 24" Length Marine grade square plait braided Belgian flax packing..
Hung Shen TP2 Propeller 12" Dia. 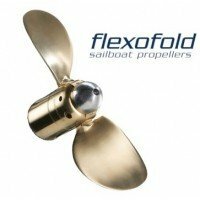 12" Bronze 2 Blade Hung Shen Sail Boat Propeller.The TP-2 fixed pitch propeller is the popular choic..
Hung Shen TP2 Propeller 13" Dia. 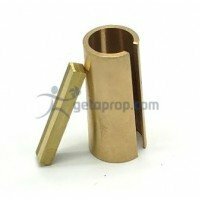 13" Bronze 2 Blade Hung Shen Sail Boat Propeller.The TP-2 fixed pitch propeller is the popular choic..
Shaft Razor Line Cutters 300 Split unit fits shaft diameters 3/4" thru 1 1/4"Cutter Outside Diameter..
Shaft Razor Line Cutters 400 Split unit fits shaft diameters 1" thru 1 3/4"Cutter Outside Diameter: ..
Shaft Razor Line Cutters 500 Split unit fits shaft diameters 1 1/4" thru 2 1/2"Cutter Outside Diamet..
14" Flexofold 2 Blade LA Folding Sailboat Propeller fits Yanmar, Volvo Penta, Lombardini, Techn..
Bruntons AutoProp Feathering Propeller 13" 3 blade Sailboat Propeller fits Yanmar, Volvo P..
Bruntons AutoProp Feathering Propeller 14" 3 blade Sailboat Propeller fits Yanmar, Volvo P..
Bruntons AutoProp Feathering Propeller 15" 3 blade Sailboat Propeller fits Yanmar, Volvo P..